Lebanon has seen it’s share of conflict through the ages, and the 20th century was certainly no exception. During the last half of the 20th century and early into the 21st, the cities, towns, valleys and mountains of this small Mediterranean country witnessed more than their fair share of armed vehicle traffic. 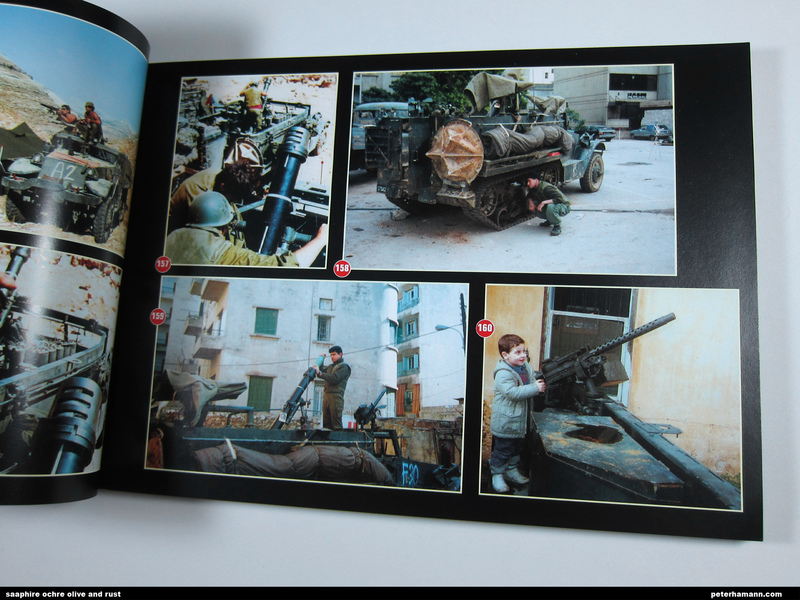 Samer Kassis of Lebanon has been there all along, collecting images of the vehicles and people who have played a role in the history of this storied land. 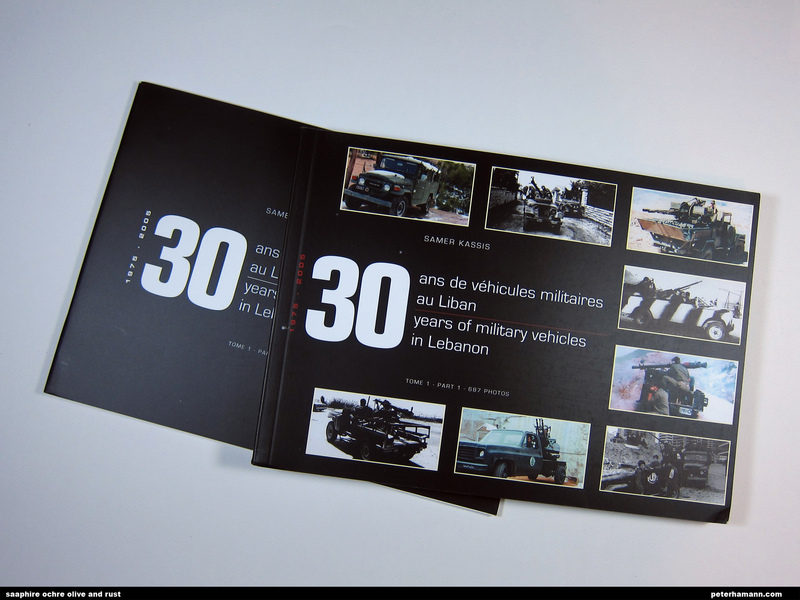 After years of gathering and curating images, Mr Kassis has published a series of books documenting the various military vehicles that have rumbled and rolled the dusty street and roads of Lebanon. 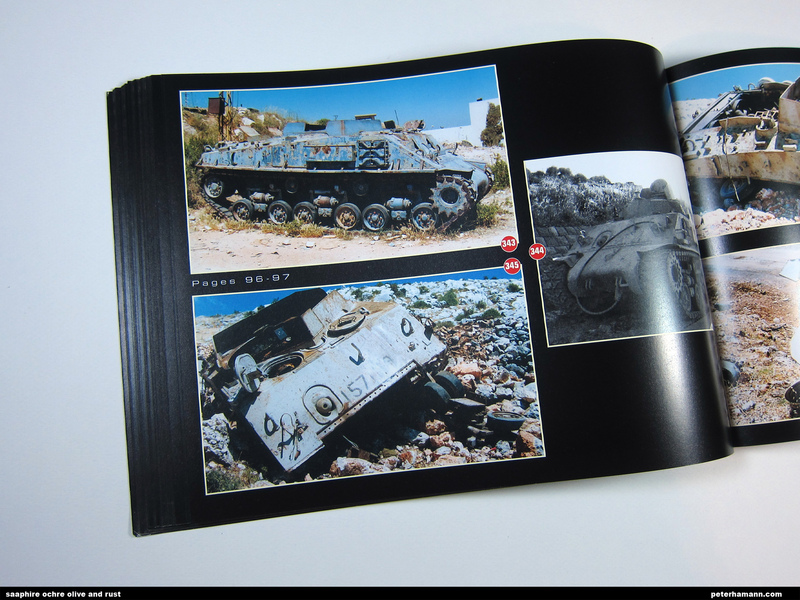 The book is a 2 volume “set” composed of the main volume, which is entirely photographs, and the second, smaller volume, which contains the captions for the photos in the main volume. The main volume contains 195 pages of mixed black and white and color photos. 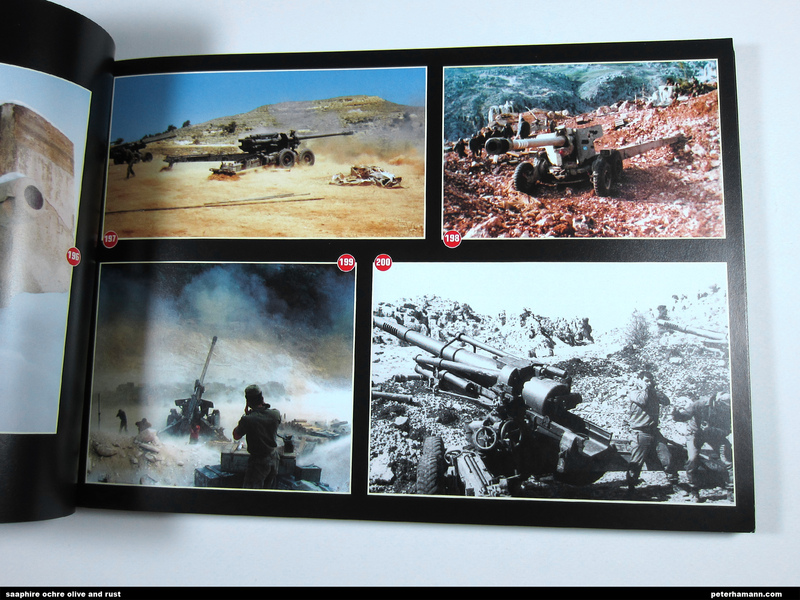 This is not a detailed walk-around book, but more of a “time and place” type of book, with the images grouped by military unit and conflict. The subject matter ranges from the mundane to the fascinating, with the emphasis on fascinating! There are images of vehicle types and local modifications that you have almost certainly never seen, let alone heard of. 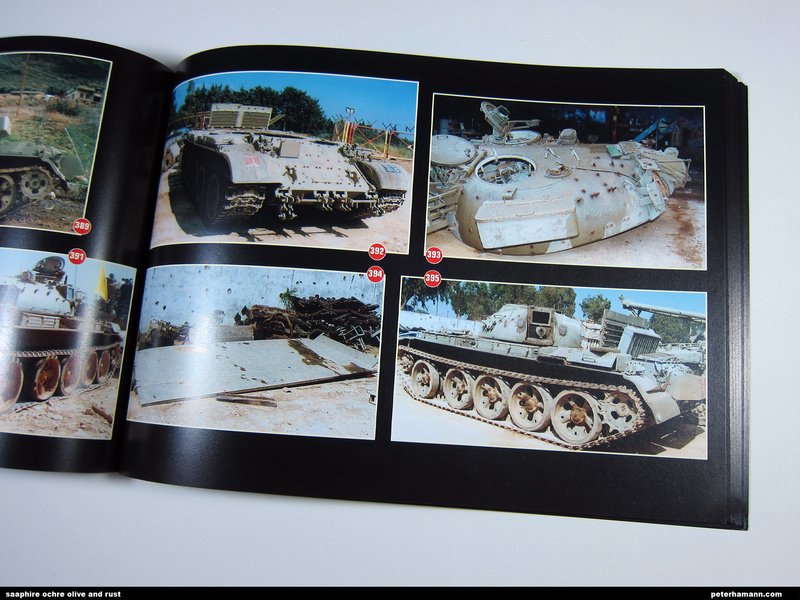 Along with armored vehicles there are images of artillery in action and in various states of disrepair, as well as civilian vehicles and their operators in various states of uniform dress. If you are interested in Middle-Eastern military conflict, Lebanon, obscure hardware, and oddball military vehicles, this book is a must have. If you’re looking for unusual diorama subject material or inspiration, I can also thoroughly recommend this book. Available directly from the publisher at elitegrplebanon or via a number of international dealers listed at the link given.